Stain Color Bright orange at first, burgandy/brown/red in 36hrs Reddish brown right away or black! 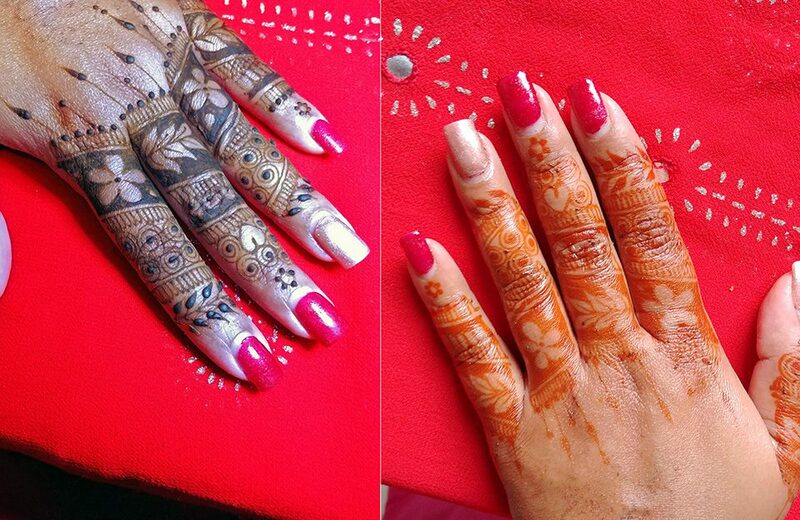 Henna is actually a powder at first, which is created by first drying the leaves, then grinding and sifting. Artists all over the world have different recipes and some are very cultural. Recipes can include: tea, cloves, water, lemon juice, sugar and essential oils to create a perishable product. 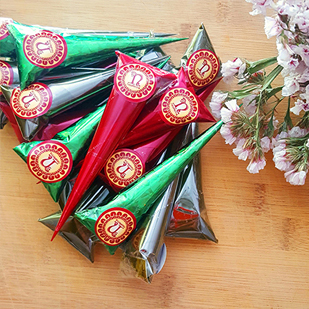 Natural henna has no preservatives and has a shelf life up to 6 months in the freezer for use on skin. After that, it can be used in your hair as a conditioner and coloring. Full transparency from the artist/supplier is key in deciphering natural vs chemical. 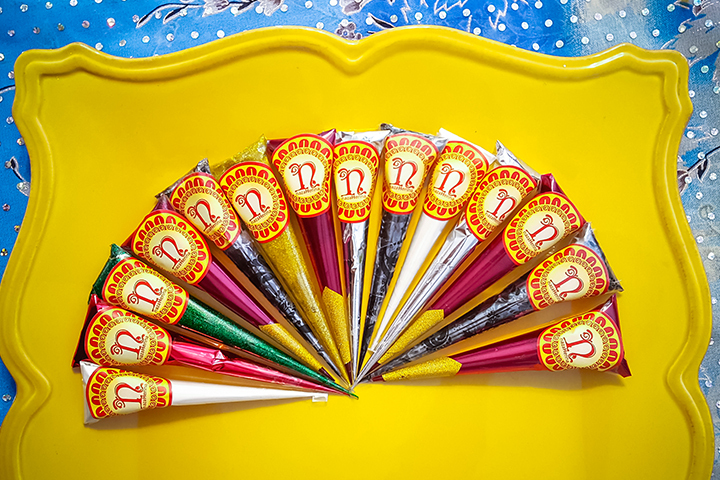 Always ask the artist or the supplier for a list of ingredients and when it was made. If you’re unsure, always do a dot test on your wrist, remove after 5 min and see if the dot is orange or some other instant dark color. An instant result means it’s likely chemical henna. 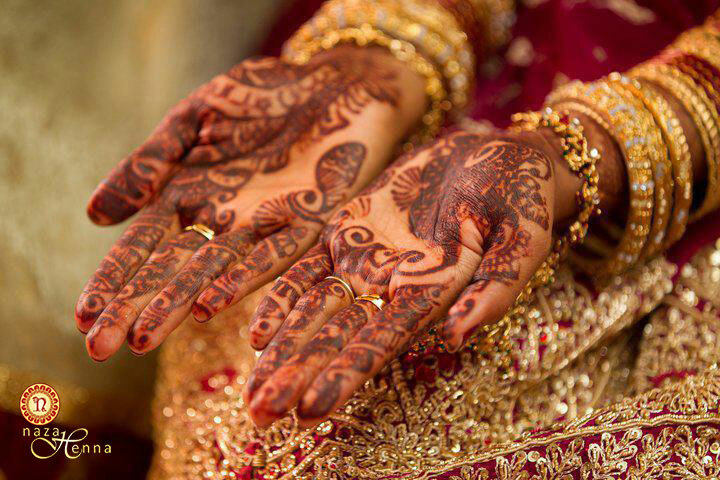 A light to bright orange stain means you may indeed have a natural henna product. It’s important to be a aware of such subtle differences in order to practice skin safety. 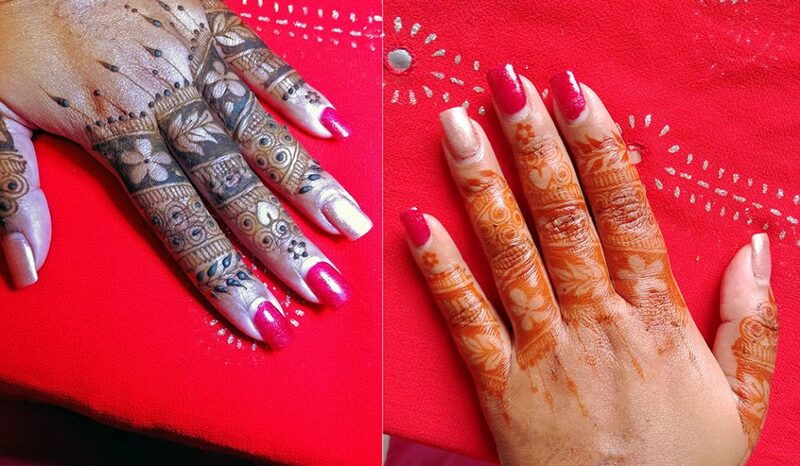 There are many versions of chemical henna out there that can cause itchiness, allergic reactions, and worse, skin burns or blood poisoning. 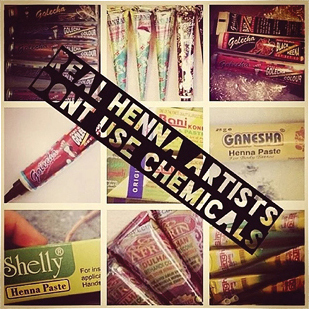 Be cautious about what you buy, ask questions, and you will stay safe and natural with your henna.